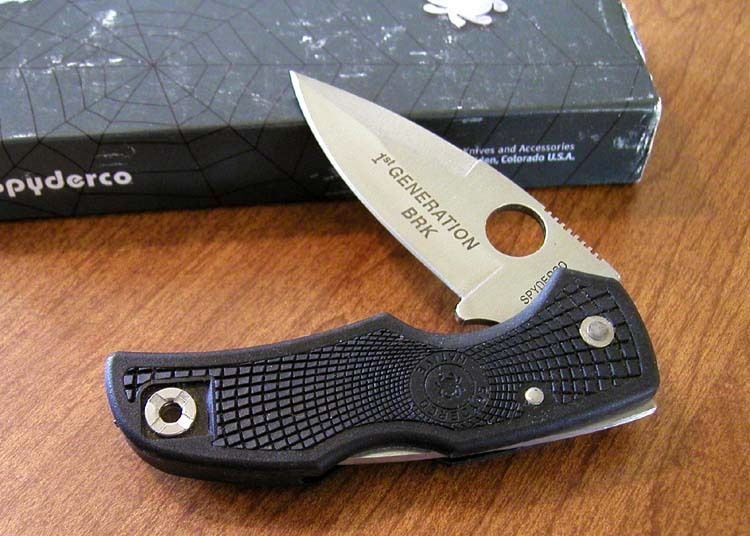 SC-41PBK-BRK 1ST GENERATION BLACK FRN HANDLE NATIVE. 4" CLOSED. 2 1/2" PLAIN EDGE 440A STAINLESS STEEL BLADE. LOCKBACK DESIGN. METAL POCKET CLIP. MINT CONDITION, BUT THE BOX IS A LITTLE SHOPWORN. $55.00 SOLD! SSK-3964 SPYDERCO POLICE. 5 1/4" CLOSED. 3 7/8" PLAIN EDGE G-2 STAINLESS STEEL BLADE. LOCKBACK DESIGN. THIS KNIFE HAS BEEN USED AND HAS SEVERAL LIGHT SCRATCHES ON THE HANDLE. THE POCKET CLIP IS MISSING. 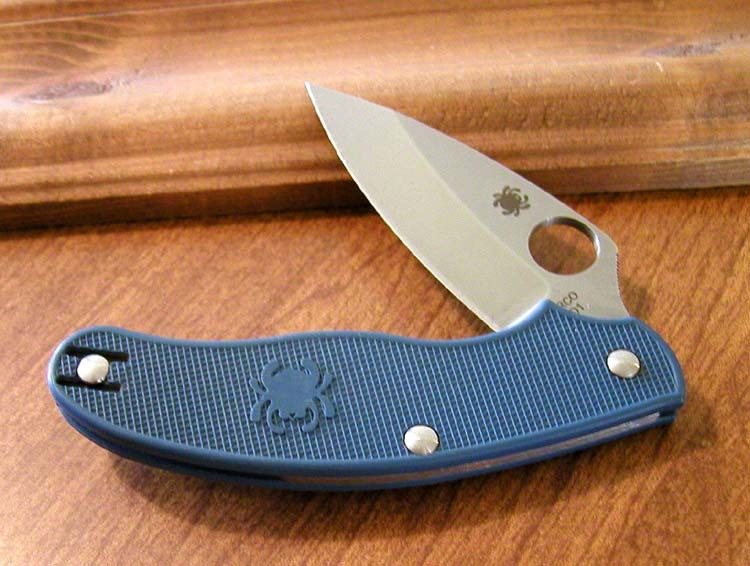 THE BLADE APPEARS TO HAVE THE ORIGINAL FACTORY EDGE. NO BOX. $79.00 SOLD!